Is it time for an SMF assessment? IT functions are overwhelmingly required to act as a service provider in maintenance and operations, as well as a key player in the development of new and changed services spaces. With these challenges in mind, it is important that organizations have IT processes in place that are efficient and effective. 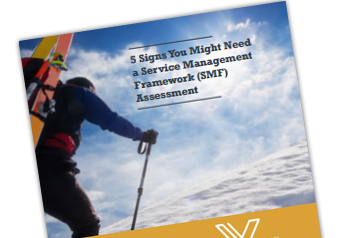 Discover how a service management framework (SMF) assessment can help your organization align and optimize your IT processes with overall business goals.